The Tornado Sirens and Warning Belles take the track on Saturday, May 4 for our annual Star Wars bout! Get ready to wear red and black… The Tornado Sirens and Warning Belles return to the track on Saturday, June 15! The Tornado Sirens and Warning Belles return to the track on Saturday, July 13 for the final bout of the 2019 season! All interested skaters are welcome to attend this WFTDA minimum skills testing session! Get ready for fast-paced roller derby action! The Warning Belles and Third Alarm will take the track on Saturday, April 13. Get ready for fast-paced roller derby action! The Tornado Sirens and Warning Belles will return to the track on Saturday, March 30. Drop in to a Naptown Practice! Come visit an all-league Naptown practice on February 17 to see what training with us is like, get to know each other, and learn some new skills and drills to bring home! Get ready for Naptown Roller Derby's season opener! The Tornado Sirens and Warning Belles will be back in action on Saturday, January 19. Join us for the final installment of Naptown's off-season mixers! Pack your skates and bring your friends for back-to-back WFTDA and WFTDA/MRDA scrimmages on Sunday November 4, 2018. Get ready for Naptown Roller Derby's Star Wars-themed bout! The Tornado Sirens and Warning Belles will be back in action on Saturday, May 5. Get ready for Naptown Roller Derby's third Season 12 bout! The Tornado Sirens and Warning Belles will be back in action on Saturday, April 28. Watch Naptown's Third Alarm lace up their skates and take the track against the Illiana Derby Dames from northwest Indiana and northeast Illinois! During halftime there will be an exhibition by IJRD’s very own Rookie Skaters! The Tornado Sirens and Warning Belles will be back in action Saturday, March 31! 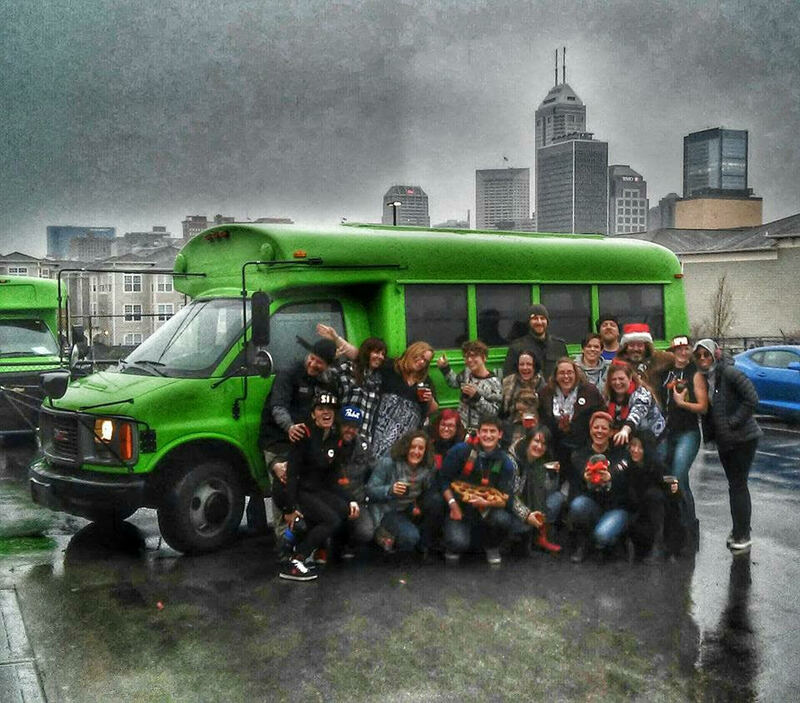 What better way to celebrate the conclusion of Naptown's first home bout than with a Brew Bus?? Skaters and fans are welcome at this event! The pick-up and drop-off spot is at the downtown Sun King brewery. Get ready for Naptown Roller Derby's season 12 opening bout! The Tornado Sirens and Warning Belles will be back in action Saturday, January 20! Get ready for Naptown Roller Derby's season 11 opening bout! The Tornado Sirens and Warning Belles will be back in action Saturday, January 28th!